Mountain View, CA - Today PlanPrescriber (www.planprescriber.com), a wholly owned subsidiary of eHealth, Inc. (NASDAQ: EHTH), released a list of nine costly mistakes that people typically make when trying to enroll in a Medicare Advantage plan. PlanPrescriber provides educational and comparison tools for Medicare insurance products that allow customers to compare Medicare products side-by-side, connect with knowledgeable, licensed agents, and enroll in select products online or over the phone. People on Medicare, or enrolling in Medicare or Medicare Advantage for the first time, should be aware of these potentially costly mistakes during the 2012/2013 Medicare Annual Enrollment Period (AEP), which begins Oct. 15, 2012, and runs through Dec. 7, 2012. In most cases, Medicare Advantage enrollees who wish to make changes to their coverage, or switch to Medicare Supplement insurance in 2013, must do so during the AEP. 1) Not reviewing your medication during the AEP: If you are happy with your coverage, it may be tempting to simply stay enrolled in the same plan every year. However, what worked well one year, may not the next. That’s because many plans change their costs and drug coverage annually. 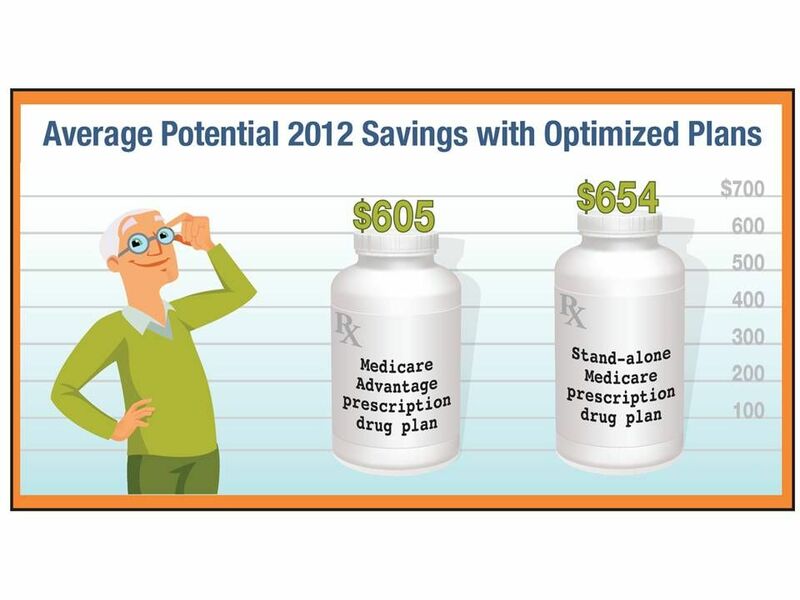 A 2012 PlanPrescriber.com study of 12,000 user sessions on its website found that the average person could have saved $605 in 2012 by changing their coverage to a plan that covered their drugs at the lowest possible cost. It’s important to be sure your prescriptions are covered, and what the prices will be heading into 2013. There are online tools, such as PlanPrescriber.com, that make it easier for people to research plans based on the specific prescriptions drugs they take. 2) Forgetting to factor in mail-order benefits. When comparing plans, it may be worth noting whether you can save money by using mail-order pharmacies. Some plans offer lower copays when purchasing drugs this way, and in certain cases, you can receive up to a 90-day supply of generics at no cost through a mail order pharmacy. Every plan is different, however, so be sure to read the fine print. 3) Skimming over the out-of-pocket maximums: Monthly premiums are absolutely important when it comes to your Medicare Advantage coverage, but so is the maximum out-of-pocket (MOOP) cost. The highest max for any plan in 2013 will be $6,700, and some plans have maximums as low as $2,100. This is in comparison to the average of $4,516 in 2012. Some plans also offer a hospital out-of-pocket limit, which caps the amount you pay for hospital stays during the year. These caps can provide peace of mind in the event of a prolonged illness or multiple hospital stays. 4) Not planning for international travel. With retirement may come plans to see other parts of the world. In most cases, Medicare won’t pay for healthcare outside the United States. However, some Medicare Advantage plans offer worldwide coverage for emergency care. If this type of coverage is important to you, confirm that your plan includes it. 5) Losing sight of the big financial picture. At first glance, it may appear that a Medicare Advantage plan with a $0 premium may be the most affordable way to go. However, you are still responsible for out-of-pocket costs. As mentioned earlier, it’s important to consider the plan’s MOOP. Also consider such costs as doctor’s office copayments and deductibles. Those expenses can add up, meaning the plan with the lowest premium could cost you more in the long run. 6) Assuming you have coverage for routine dental or vision care. Many Medicare Advantage plans include coverage for dental and vision care, but not all of them. If these benefits are important to you, make sure your Medicare Advantage plan provides the coverage. And, if the plan does not, research “stand-alone” dental and vision insurance plans on the individual insurance market. 7) Skipping preventive care: Medicare offers free preventive screenings with no copays. Not using these benefits is akin to throwing money away. You’re paying for these benefits, so take advantage of them. The easiest way to find out what is covered for free is to go online to healthcare.gov. 8) Ignoring long-term care needs: Medicare does not cover the costs of most nursing home stays or assisted living. At some point in their lives, most people will need help with such activities as dressing, bathing and using the bathroom. However, Medicare does not pay for this type of “custodial care.” Medicare will pay for up to 100 days in a skilled nursing facility and medically necessary home healthcare. 9) Enrolling without help: Qualified professionals can help you understand your options and select a plan. You can get help through your State Health Insurance Assistance Program (SHIP), websites like www.PlanPrescriber.com, licensed health insurance agents who are certified to sell Medicare, or by calling 1-800-Medicare, going to Medicare.gov or calling 1-877-486-2048 for TTY users. You may be able to get Extra Help to pay for your prescription drug premiums and costs. For more information on Extra Help, you can contact PlanPrescriber.com at 800-404-6968 ( TTY User: 711) to be connected with a partner licensed representative who can discuss Extra Help eligibility rules or contact Medicare directly at 1-800-MEDICARE (1800-633-4227). TTY users should call 1-877-486-2048, 24 hours a day/ 7 days a week; the Social Security Office at 1-800-772-1213 between 7 a.m. and 7 p.m., Monday through Friday. TTY users should call, 1-800-325-0778; or your Medicaid office. In general, beneficiaries must use network pharmacies to access their prescription drug benefit, except in non-routine circumstances, and quantity limitations and restrictions may apply. PlanPrescriber (www.planprescriber.com), a wholly owned subsidiary of eHealth, Inc., is a leading provider of comparison tools and educational materials for Medicare Advantage, Medicare Part D Prescription Drug Plans, and Medicare Supplement insurance products. Medicare beneficiaries can take advantage of PlanPrescriber's no cost, no obligation online advisor tools by logging on to www.PlanPrescriber.com. PlanPrescriber is a tool designed to help Medicare recipients find a Medicare plan that covers their specific medical and prescription drug needs at the lowest possible out-of-pocket cost.